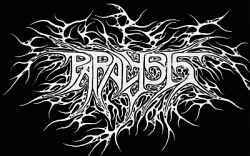 Former death metal/grindcore band from Metairie, Louisiana. Formed in 1989, they hit the underground brutal death metal community with their first demo "Plegia" which got some good reviews in many zines at the time. After that demo, the band released a limited '91 promo demo that was only distributed to labels/zines which led to a deal with the now-defunct "Grind Core International" label for a full length. This release would see the light of day in mid '92 as the "Patrons of the Dark" Cd. Unfortunately, the release never reached its potential, as it was lost to many fans in the sea of new bands/releases still being pumped out of the early '90s death metal explosion. Sometime after the release of "Patrons...", the band dissolved with Ben moving on to success with his later projects Soilent Green and Goatwhore.